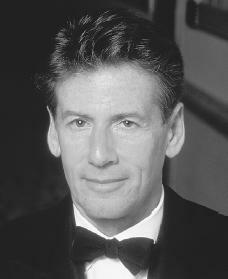 Calvin Richard Klein was born on November 19, 1942, in the Bronx, New York, where he spent all of his childhood. Klein was the second of three children born to Flo and Leo Stern. The family lived relatively comfortably. His grandmother was a seamstress and he acquired his love of sewing from her. His mother encouraged his love of art and fashion. careers in advertising and drafting. As a youth, while others his age were playing sports, Klein was busy studying, sketching fashion designs, and sewing. Later he moved on to the esteemed Fashion Institute of Technology, graduating in 1962. He spent five years as an apprentice (a student working toward learning a skill) in a coat and suit house on Seventh Avenue in New York City, working long nights and weekends to perfect his own designs. In 1968 Klein and close childhood friend Barry Schwartz created a Calvin Klein coat business. The first order was actually obtained by accident. A coat buyer from Bonwit Teller (a large New York City clothing store) got off on the wrong floor of a hotel and wandered into Klein's workroom. She placed an order for $50 thousand, which was a huge amount at that time. Encouraged by favorable reviews from the fashion press and the support of store executives, Klein expanded his line to include women's sportswear. Klein's world soon included his couture (fashionable custom-made women's clothing) line, Calvin Klein Collection for men and women, CK sportswear for men and women, and CK jeans. He also licensed arrangements for his menswear, coats, accessories, intimate apparel, hosiery, swimwear, eyewear, furs, socks, and fragrances, all under his careful control and management. Of the many categories licensed, denim jeans, along with fragrances, built a large following among consumers, who sought an affordable way to attain the Calvin Klein look. By 1997 sales of Calvin Klein Jeans approached half a billion dollars. Advertising was the key to Klein's success. He kept the media talking about him by creating controversy (open to dispute). He was the first to design women's underwear that looked like men's jockey shorts. His television ads for jeans starred Brooke Shields (1965–), who proclaimed: "Nothing comes between me and my Calvins." Klein developed a reputation for pushing the boundaries of acceptability in his campaigns. Ads of the mid-1990s featured young teenagers in provocative poses that many regarded as socially irresponsible. Klein eventually cancelled these ads, but not before the accompanying publicity had made the Calvin Klein brand name a part of everyday conversation. Klein's three major fragrances, Obsession, Eternity, and Escape, were huge successes, also due in part to sexually-suggestive advertising. Advertising for his fragrances, CK One and CK Be, continued to challenge the public. Some ads showed teens taking part in what some regarded as an idealized drug culture. At this time, President Bill Clinton (1946–) admonished the fashion industry not to glamorize addiction. Klein replied that these ads represented a departure from phony airbrushed images that were not connected to the reality of today's world. Klein's design philosophy is rooted in minimalism (extreme simplicity). He typically uses neutral colors or earth tones (browns), and designs separates (articles of clothing designed to be worn interchangeably with others to form various combinations) that work in many different ensembles, from day to night and season to season. At the same time his advertising for jeans and fragrances was being criticized, Calvin Klein clothing was receiving critical acclaim for its clean, modern lines. Time magazine named Klein one of the twenty-five most influential Americans in 1996. Klein won the prestigious Coty Award three times in a row (1973–1975), becoming the youngest designer to ever have that honor. In 1982, 1983, and 1986 he also captured the Council of Fashion Designers of America Award. In addition Klein built a financially strong company with the continued advice and help of partner Barry Schwartz, who guided the company through tough financial times in the late 1980s. Few designers have rivaled his worldwide empire. Klein's personal life also weathered the times. He married Jayne Centre in 1964, but they divorced in 1974. They had one child, Marci. He married one of his design assistants, Kelly Rector, in 1986. Klein is known for his "casual chic" clothing, stylish but casual designs created for active women. He is undoubtedly one of the most successful American clothing designers today. Milbank, Caroline R. NY Fashion: The Evolution of American Style. New York: Abrams, 1989.
you rock calvin. as a designer do you wear your own label/designs?